Some time ago: “Life is Good” in the warming morning mist, N.C. 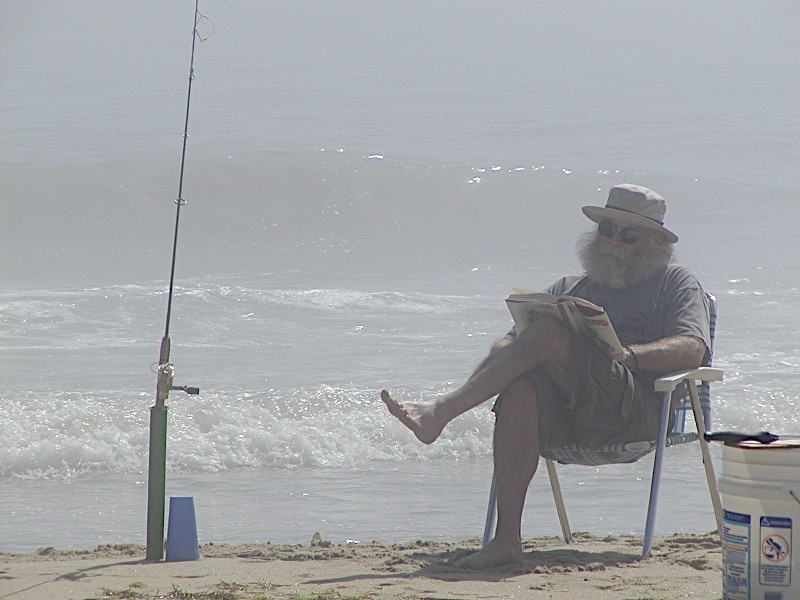 He seems less a fisherman and more a reader . . .